Like many BIM professionals, i get bulk mailers about BIM news. I usually give them a cursory glance, but rarely does anything really carry any weight or grab my attention.I met the author, Robert Mencarini, at an Autodesk Revit Gunslinger event several years ago. I remembered him because the dude was ON FIRE! Really passionate fellow. I was interested in what he had to say and i wasn't dissapointed. 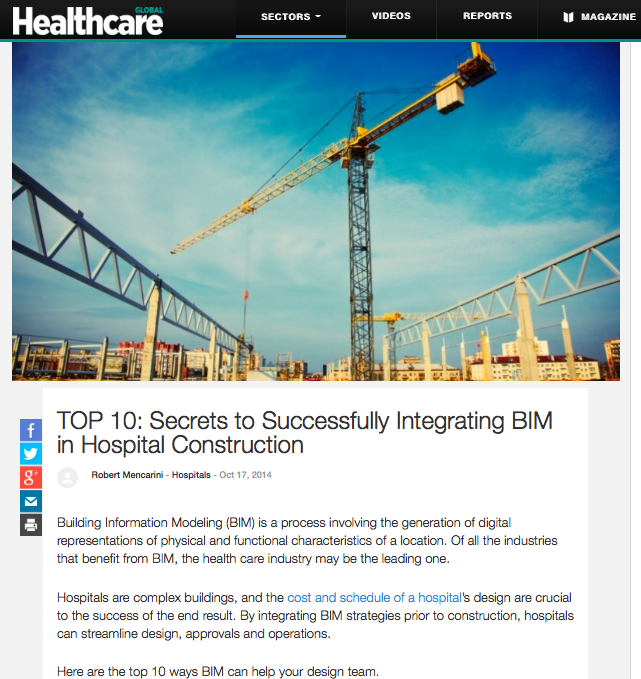 "BIM is both a technology and a process. This forces firms to reevaluate how they produce their design services. The winners will differentiate themselves by focusing on producing services that their clients expect, such as those that impact time, money and quality." thanks for sharing Phil, currently trying to learn Dynamo through online resources...your posts help a lot.